Home » Greek King priest and athletes. Ancient greece clothing. Athletes. Bacchus priest. Greek King. 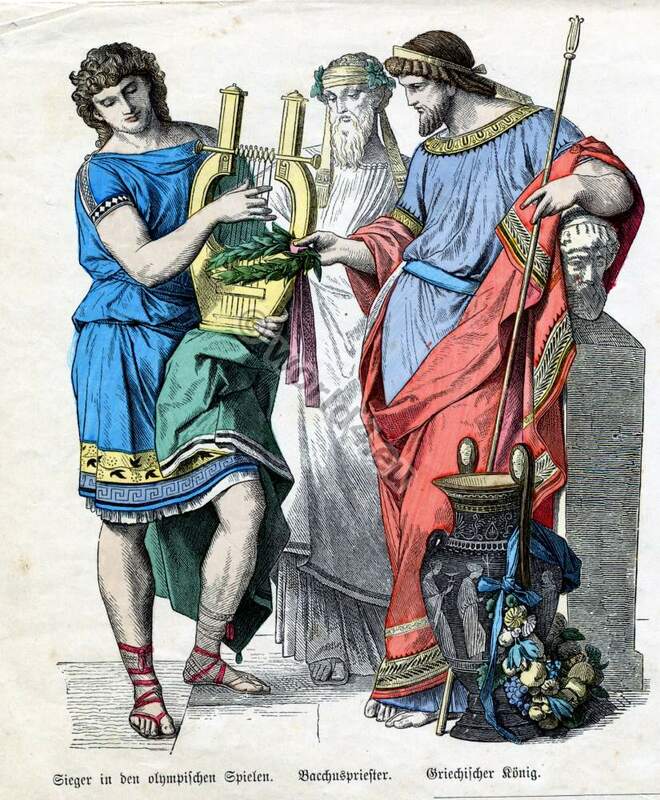 Costumes of Winner at the Olympic Games, Greek Bacchus priest and Greek King. Ancient greece clothing. This entry was posted in Ancient, Ancient Greece, Court dress, Hairstyle, Headdresses, Nobility and tagged Ancient Greek Costumes, Ancient Greek headdresses on 4/17/13 by world4.